After the unraveling in Green Bay last Sunday, this season became next season for the Cowboys. Mathematics and Christmas miracles aside, they won’t win the NFC East and there’ll be no playoffs in January. At 4-9, they are one of the worst teams in the NFL. With key injuries, whiffed personnel moves and general underachievement, 2015 will go down as one of the most disappointing seasons in franchise history. But it’s over. I’m not a fan of outright, orchestrated tanking in order to get a better draft pick, but I also do not understand the Cowboys’ philosophy heading into the last three games. Owner Jerry Jones said they won’t shut down an obviously ailing Dez Bryant. 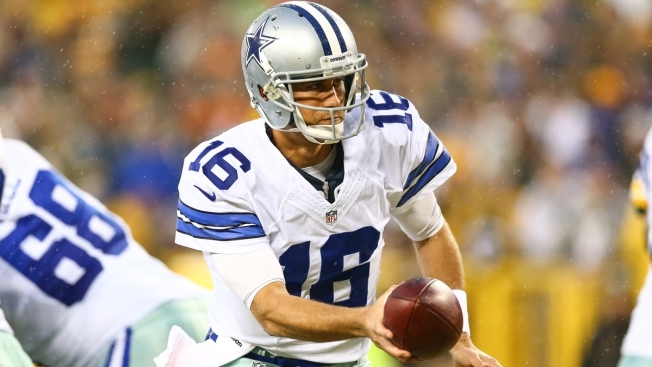 And head coach Jason Garrett claims he still believes in Matt Cassel. Look, I don’t know if quarterback Kellen Moore deserves a spot on the roster. Or whether he can play with any competency at all at the NFL level. But I’m willing to find it. Now. Why? Because, like we painfully discovered with Brandon Weeden, we already are for dang certain that Cassel can’t win games and that he has zero future with the Cowboys. As a starter. As a backup. As a nothing. If Cassel is on this team next summer in Oxnard, something has gone horribly wrong. He’s pathetic. Locks on receivers. Has only a shallow pocket presence. And his accuracy and velocity just aren’t NFL-caliber. The Cowboys wasted a draft pick in trading for him, and it’s time to admit that and move on. Like they did with Weeden. Starting Cassel against the Jets Saturday night is just mind-boggling. If he has a 300-yard game in a win, doesn’t matter. And if he has another Cassel game, it only stunts the growth of this team. Again, I’d be shocked if Moore is the answer to any part of the Cowboys’ quarterback question. But it’s time to find out for sure. Like we have about Cassel.